Looking for something interesting, unique, beautiful, quirky or locally crafted? The Gallery Shop stocks a wide range of jewellery, cards, books, scarves, bags and homewares, all sourced from a constantly expanding stable of practicing artists. 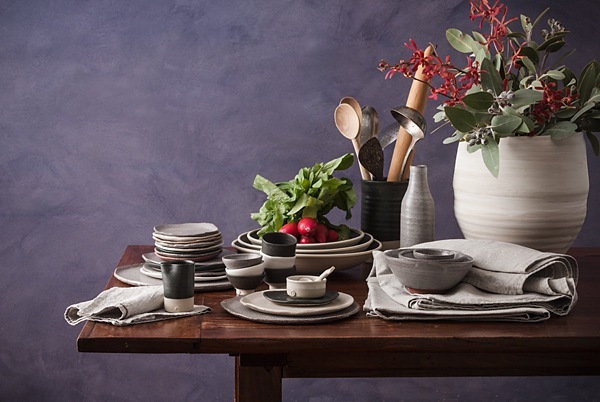 We pride ourselves on being a renowned destination for artisan products in the Hunter region. The team at MRAG are constantly on the lookout for well made, innovative and creative wares and welcome applications from new suppliers. If you would like to submit an application you can find out how by clicking here. Below is a small selection of the artists and craftspeople featured in The Gallery Shop. Please do not hesitate to get in touch with a member of the Gallery team should you have any queries regarding shop artisans or wares. I feel like I have been an artist all my life. I was born in Zimbabwe, Africa to two beautifully creative humans, who love life and gifted me with a yearning for knowledge, beauty and truth. Now based in the excitingly understated city of Newcastle in Australia, I make art, I draw and paint, study, research and explore the recipes and techniques once used by artists throughout the centuries. Sometimes feeling more like a chef than a modern day painter, I work with deliciously luscious ingredients..eggs, vodka, walnuts, pomegranates..and more. Every day in the studio is an exhilarating learning experience! 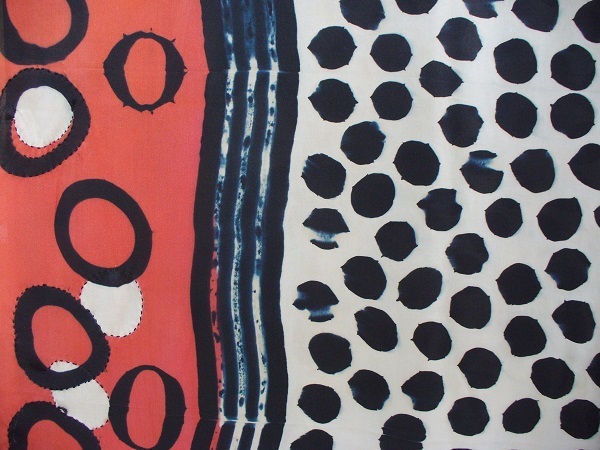 Barbara Rogers is a Sydney based textile artist. She completed Dress Design at the National Art School and worked in the fashion industry for many years. Rogers now works in shibori, an ancient Japanese resist dye technique. There is an infinite number of ways one can bind, stitch, fold or compress cloth for shibori. Combining carved-board clamped-resist with traditional shibori, Rogers discharges dyes from the fabrics, then overdyes them in other colours to produce highly complex textiles. 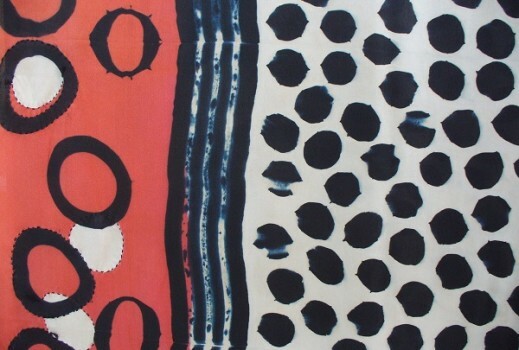 Rogers has exhibited nationally and internationally, and participated in several World Shibori Symposia. 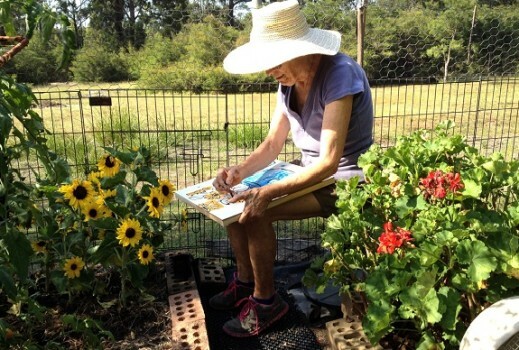 Her works are in numerous private and public collections. ‘Where adornment reigns’ is the motto at bon bon empire. Bon bon empire jewellery is designed and handmade by Alison Haylock in Newcastle NSW and is made from polymer clay using various and evolving techniques and finishes. 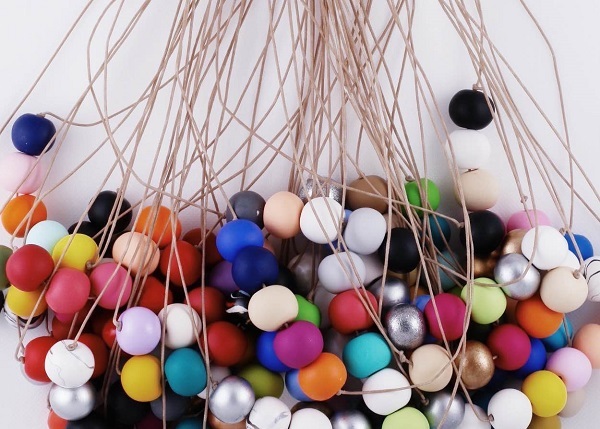 Colour is the cornerstone of all the jewellery at bon bon empire and the popular signature 5 bead necklaces come in various colour combinations. All the necklace are able to be adjusted to the length you prefer and are strung on durable waxed cotton. 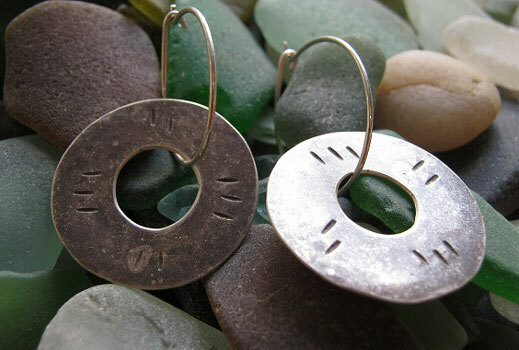 All the earrings have stainless surgical steel findings making them hypo- allergenic. As a 5ft nothing “bonsai” woman, Vicki Cornish’s interest in textiles began with the need to make clothes for herself that actually fit. Having studied both Fine Art and Fashion Design, she decided to combine this knowledge to produce beautiful, wearable, hand woven work. Vicki’s label, Bonsai Woman, represents a passion for slow fashion – ethically produced, handmade, unique garments that are designed to last. Bonsai Woman scarves are hand woven with only natural fibres and, whenever possible, organic and fairtrade materials. 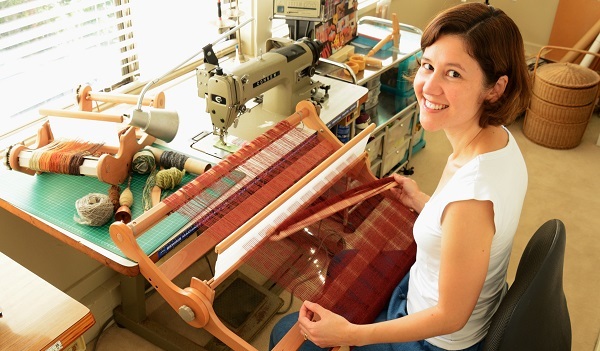 Scarves are also woven with Vicki’s own hand spun and hand dyed yarns. 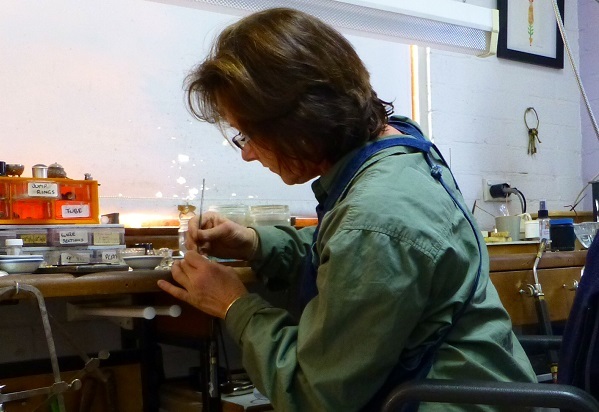 I have been crafting my jewellery and sculptures for over twenty years. During this time my work has been sold through the National Gallery of Australia, Millennium Gallery in Sheffield England, galleries in Spain, New Zealand and Australia. It won the Reed Gift award for Contemporary Jewellery and has been featured in Harper’s Bazaar, Style Magazine and many other publications. It was featured on ABC Small Business Show. All my work is made from recycled nickel silver which is then cut, soldered and completely restyled. In most pieces its origin is still discernible. 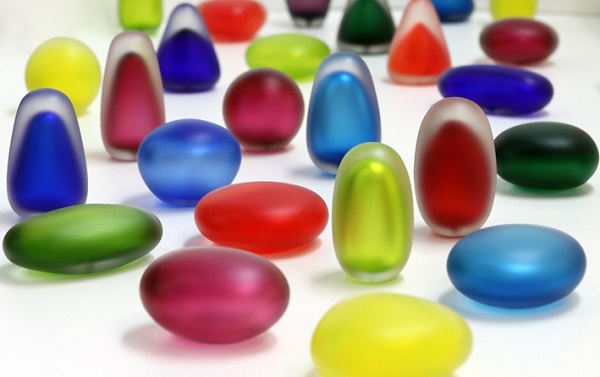 In 1991 Robert Wynne established his own studio, Denizen Glass Design in the beachside suburb of Manly where he produces a range of hand-blown glass including smaller production work and large, one-off sculptural pieces. 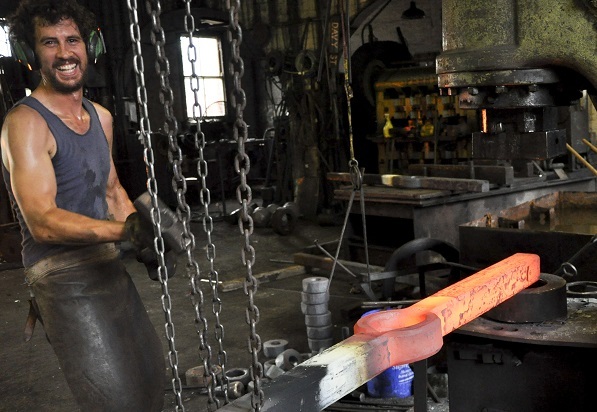 The dynamic process of glass blowing immediately captivated Robert. Not only was the visual splendour deeply pleasing, he relished the choreography in glass blowing, and particularly the immediacy and risk that the material demanded. Dorothée’s Art Tiles are limited edition representations of her larger artworks. Standing on display or functional as a paperweight her unique reflective tiles are the perfect gift for someone who needs a “window” of joy and light – whether it be on their office desk, coffee or bedside table. Frejj is a Sydney based leather accessories label, Designed and handmade by Julia Flanagan. 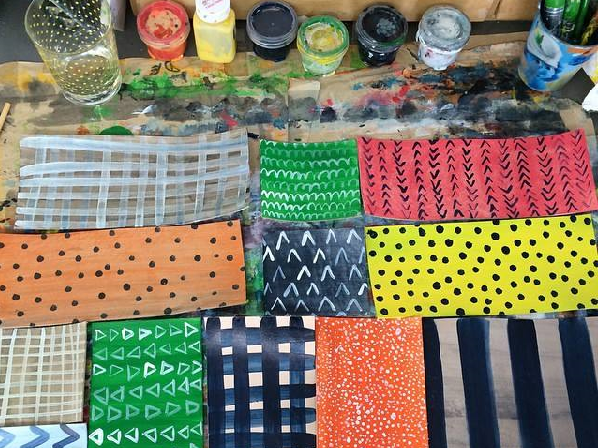 The defining characteristics of Frejj’s designs are the use hand painted and printed leather hides. 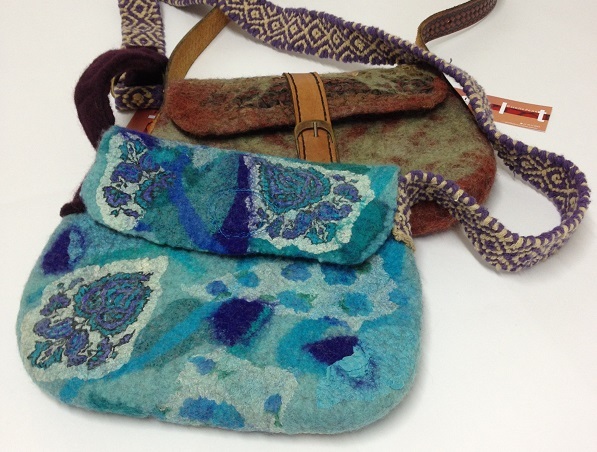 Frejj’s range of individually designed leather wares include Satchels, Purses, Weekender’s, Totes and Overnighter’s. Each item is handmade by Julia from the design stages through to the sewing. Each item is a one off combination of leathers. Making every Frejj design as special as the person wearing it! Originally from Newcastle, Julia now lives and works in Sydney. Giselle has been selling with the MRAG shop since its inception in 2004. She is both a Feltmaker and Glass Bead maker, producing sumptuous felt scarves, handbags and jewellery with both her felts and Flameworked Glass Beads. Both mediums are highly malleable and offer the opportunity for working in a vast range of colours with texture and pattern. Her philosophy for making is one of gathering and up-cycling pre-worn and loved components such as silk scarves, fabrics, leather belts, chains and vintage trinkets to incorporate with her handcrafted felts and glass beads, giving new life to past treasures. It’s quite a lovely story actually, it all started with a wedding. Ashley searched high and low for the perfect Bow-Tie for her dashing man and nothing hit the spot. Until one day she found the perfect fabric. Perhaps, she thought, it would be easier if I just made one instead! 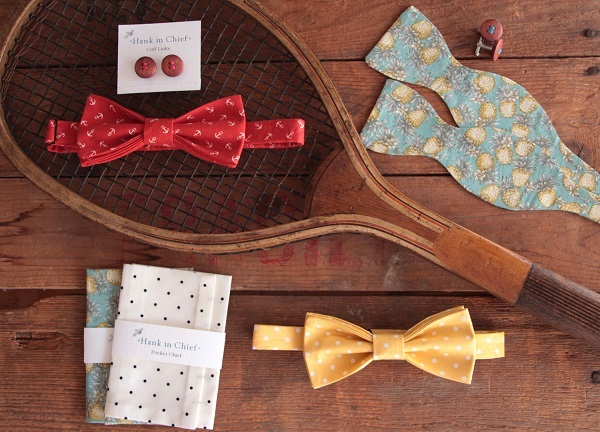 Surrounded by the finest fabrics, marvellous threads and splendid trimmings, the Bow-Ties of Hank in Chief are handmade by Designer Ashley Grace in her Sydney Studio. Each design has been hand-made with the finest cotton and lined for durability. They all have a swanky name and matching personality! I began an exciting journey two years ago, leaving behind the clamour and stress of the corporate world and opting instead for a new adventure. My husband and I built a tiny timber workshop under the trees on our bush block in NSW and there I spend my days developing a range of rustic yet contemporary copper and silver jewellery. Each piece is individually hand-crafted into organic, tactile wearable art, without the use of electricity and inspired by my Faith and the beauty of nature. Hither simply means “here” or “to this place”… to me it talks about the journey I’ve been on and it is also about the nostalgia that the native flora and fauna can evoke. 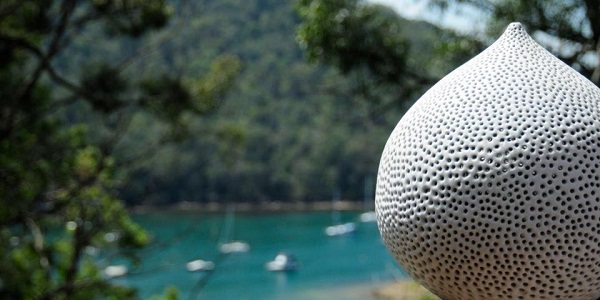 Hither was born from a love of design and the natural environment. It celebrates the deep connection people have with places. The standout for me has always been the perfect engineering and masterful detailing created in nature. My fondness for the unique Australian native landscape has developed over the 15 years I have lived here. I love working with metal, a material with so many variations all with different properties and all physically resisting you all the way. 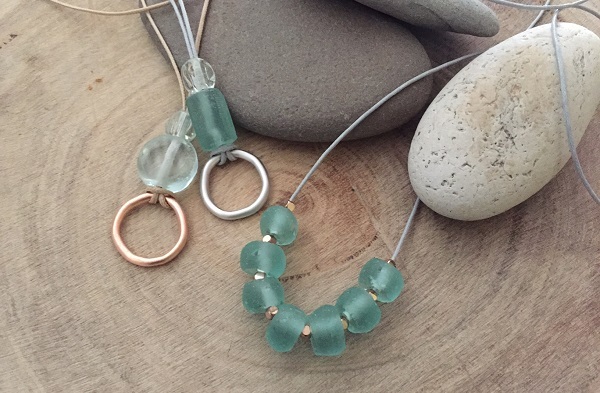 My jewellery designs are an interpretation of my life’s adventures, inspired by journeys I have taken and the intricate details of the many things I see and enjoy. Lifting someone’s spirits or inspiring their imagination without ridiculous costs has always been a strong consideration. My creativity was apparent at a very early age and was enriched by my art studies. I have been successfully exhibiting my jewellery and illustrations for 33 years. Hand made in the Hunter Valley. Julio Santos is a highly skilled master glass blower with extensive representation in Australia and overseas. He was a glass blowing apprentice in Portugal from the age of twelve. His fantastic glass comes in a delightful range of perfume bottles, vases, bowls, glasses and small sculptures. Santos lives and works nearby in Tomago NSW. 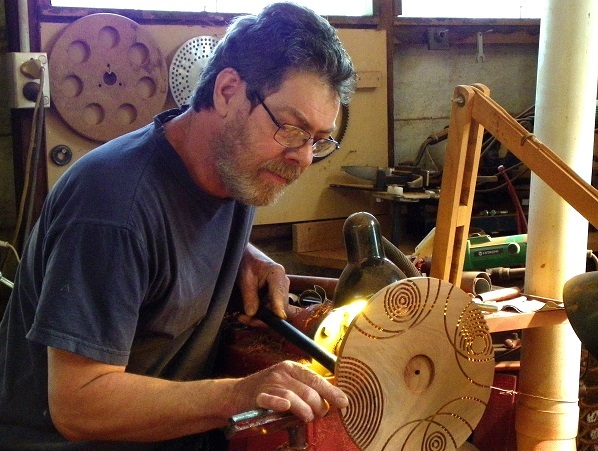 Since arriving in Melbourne in the mid eighties Viktor Kalinowski has run a sculpture studio and foundry creating sculpture, jewellery and also teaching. Elaine, Viktor’s partner, now works with him in the studio; their first joint collection is the colourful anodised aluminium range. Collectively designed, Viktor creates the aluminium sculptural shapes and Elaine indulges her passion for colour. Whilst working to a high production standard, they choose to honour the fact that this work is entirely handmade on a small scale by allowing the mark of handwork to still be evident. Katherine’s latest work has been inspired by the colours and textures in Sydney’s landscape particularly the sandstone that abounds in the area. 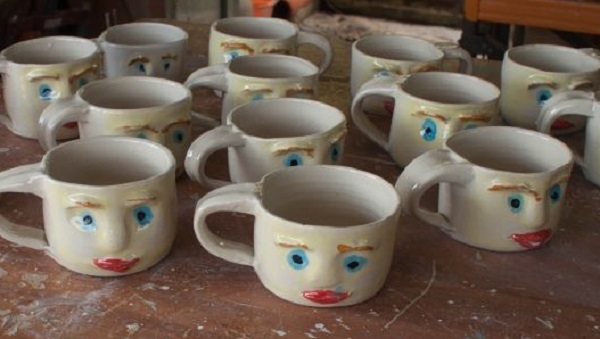 She encourages the user to make the pieces unique by the way they use them – then they themselves are creative. Keith Rowe is one of Australia’s most innovative and successful glass artists. 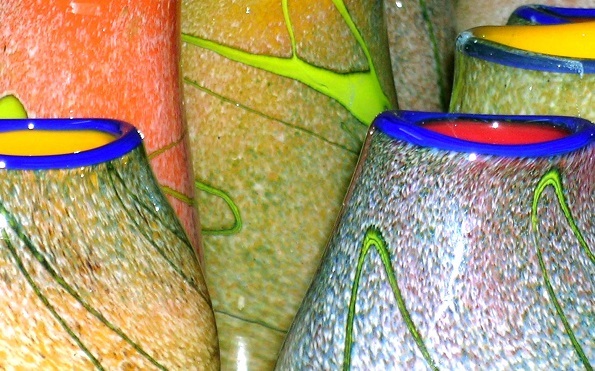 A master in the art of glass blowing, his superior technical skills and creative flair combine to create highly collectable, unique, artistic glass. My childhood, where I grew up on the water, looms large in this new series. This has given me an enduring love of the ocean and the coastal areas. The decoration is about mangroves, reefs, even the city skylines where they merge with their harbours, however, my love of the landscape seems to take a place in my work by pure osmosis. Keith Rowe. 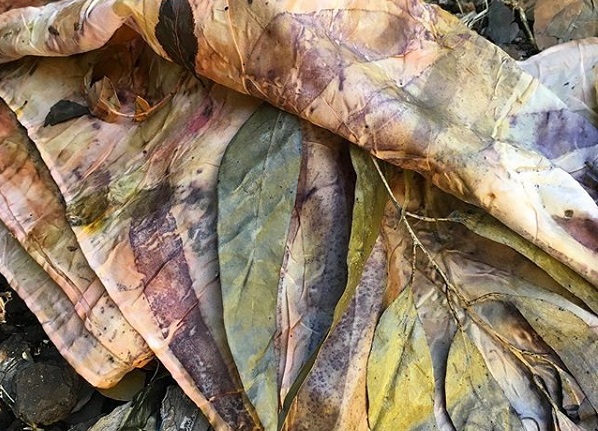 I am a textile designer specialising in the sustainable practice of botanical eco printing and natural dyeing. Drawing inspiration from a love of colour and Australian native flora, I create unique one-of-a-kind hand made scarves and jewellery in silk and linen. From the gathering of eucalyptus leaves, bark and other organic material to the collecting of rusty metal, each piece celebrates nature’s beauty, capturing the memory of place – imprinted on cloth. 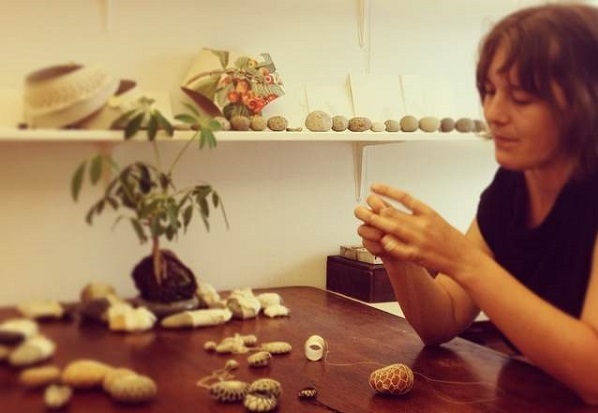 Born in New Zealand, Kes Harper collected rocks, shells and debris from the beach, and again later in England where she trained as a jeweler through an apprenticeship and art college. Her tin range is made re-using tins which are not commonly recyclable. This gives Kes the opportunity to be an inventor, considerate towards the planet and a creator of beautiful things. 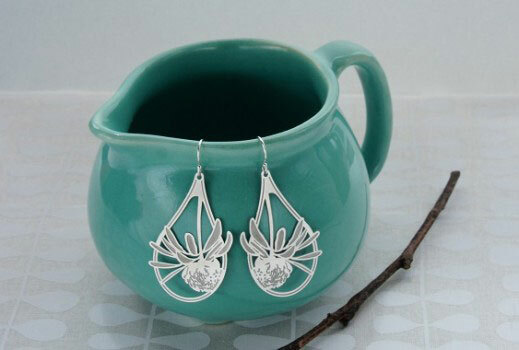 She also offers a specialised range made from sterling silver. These slightly oxidised pieces, reflect her desire to ‘create something that looks almost as if it’s been found or discovered’. I enjoy working with the rich and diverse range of timbers sourced from many different places. The timbers characteristics and beauty can be highlighted in simple forms or be a canvas for something more complex. Inspiration also comes from many areas but it is the lathe that holds the key. No computer controlled machines are used in any of my work. I am now in my 30th year as a fulltime turner with many thousands of pieces under my belt but I still feel like I have barely scratched the surface. I come from Newcastle, a little industrial town on the east coast of Australia. In 2013, after completing my degree in fine arts, I opened a little Studio Gallery and have been working there ever since. Since then my work has become more small-scale. I’ve branched out into fashion and design, using similar materials, they have been refined and condensed down into wearable pieces. My specialty is crochet and lacemaking. I make crochet lace pieces for my own work and collaborations with other artists and designers. Noel Wilton’s pots are simple stoneware forms to enjoy using. He describes the process of making them as exciting yet also calming. 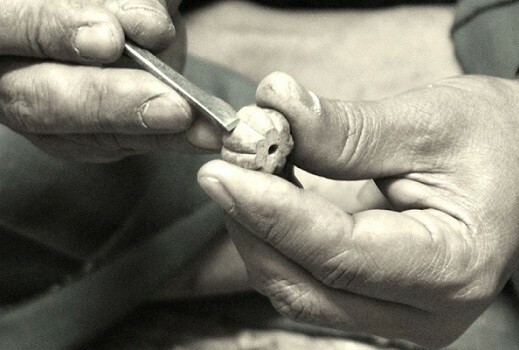 The composition of the clay; shaping it, the design, form, glazing and firing are all influenced by the unquantifiable factor – Noel himself, at the time of making. 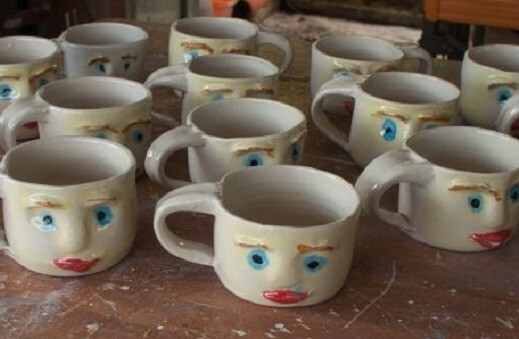 They are born from the kiln, the production of these many variables. Always a surprise! Press to Play represents the collaborative work of ceramic artists Paul Davis and Jacqueline Clayton. 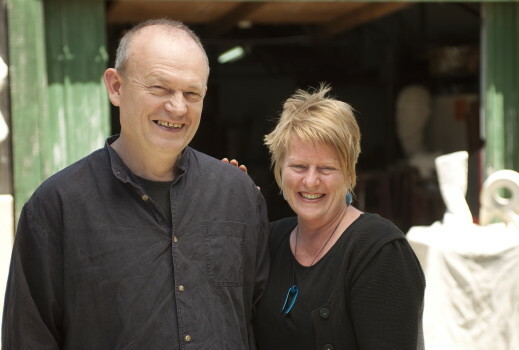 Now residing in Newcastle NSW, Paul was the resident potter at the historic Sturt Craft Centre, Mittagong from 2001 – 2009 and Jacqueline is Head of the Ceramic Studio at the College of Fine Arts, UNSW. Each maintains an independent personal practice, but together they design and produce a range of porcelain under the studio name Press to Play. 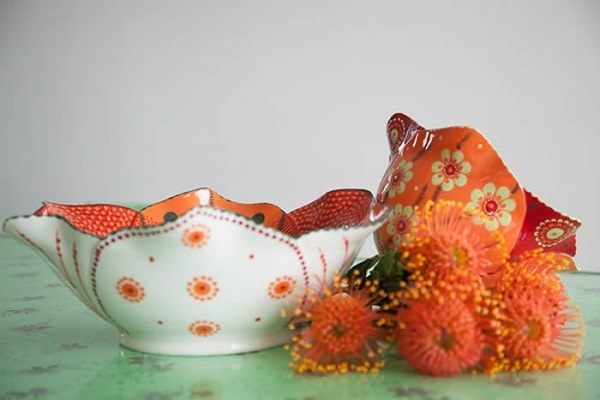 Both spent several years in ceramic workshops in Japan and are committed to producing limited edition runs of high quality porcelain and stoneware. 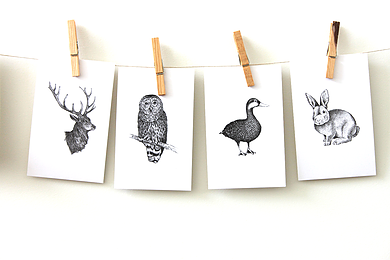 Rancho works are inspired by Michelle’s Scandinavian heritage, Scandinavian design, simplicity and urban trends. The label began in 2009 with a small range of original mixed media art works and glass jewellery. Trialed at local designer markets, rancho grew into a full range of wall art, resin and silver jewellery and now accessories. Designs are light, fresh and original. Available in over 200 stores Australia wide, rancho’s new ranges are released Spring and Autumn every year. 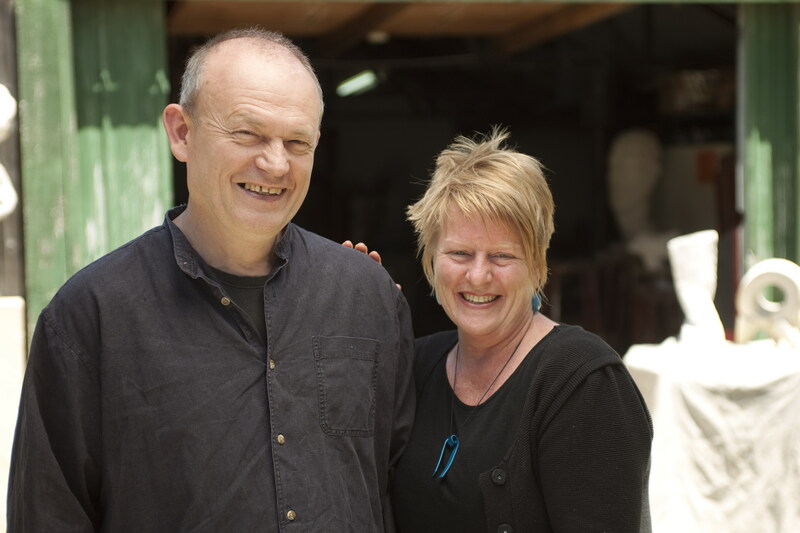 Rancho is operated by Michelle & Bruce Smith, in the lower Hunter Valley, New South Wales. Rancho … for the life uncommon. 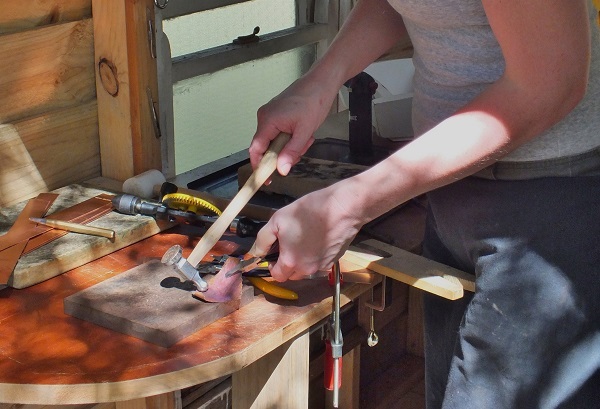 The Potter’s Workshop is situated in a beautiful industrial park in Muizenberg in Cape Town, South Africa. We are a creative team of twenty three people, each one coming from varied backgrounds and in this safe environment coming together we produce functional unique works of African designed ceramics. Against tradition it is the men that do the painting onto the raw slipcast pieces and the women doing the supportive work. Recently we entered into collaborations with other designers to extend our range to include Potterseed, a gorgeous floral range developed with Kate Carlyle of Mustardseed & Moonshine. 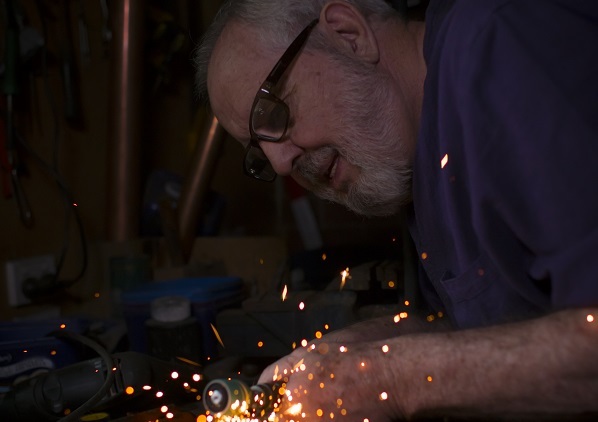 Will Maguire is a contemporary blacksmith, wrestling and caressing an unwilling medium with heat and force to create iron with personality. 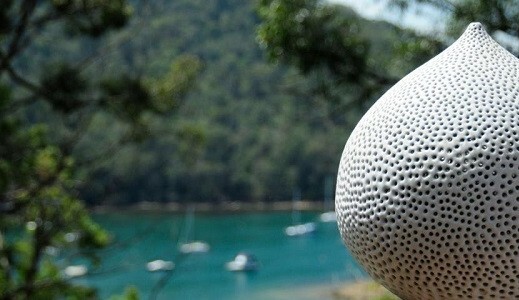 Based in the rich surrounds of the Hunter Valley, Will designs and creates items of art, architecture and function. Striving to create forms that are beautiful, genuine and new. Willi Michalski’s work is created in stoneware, firing, one-off studio pieces with special emphasis on the firing techniques and glaze finishes. Willi has researched gas reduction firing and glaze-on-glaze decoration over the past thirty plus years with resounding success. He often employs sculptural forms in his works. His style is recognisable, particularly as he handles very large scale, generous pieces, which are difficult to execute. Willi’s practice shows his ability to wheel throw forms with great skill and his awareness of the complexity required when firing ceramic pieces to 1300 degrees centigrade in his gas kiln. Woodfolk products are proudly designed in Australia by jeweller and designer Julia Denes in collaboration with Nepali artisans, throughout Nepal. At Woodfolk we are committed to working with small family-run businesses as well as Women focused organisations, creating opportunity, self-determination and support in their communities through social entrepreneurship. Our relationships in Nepal are built on trust, equality, fair trade and a long term goal of bringing meaningful change to their lives, and demonstrating a fairer alternative to businesses seeking trade with third world communities.